Google Calendar is one of the best time-planning tools out there. However, even though it works rather well on the plethora of platforms, it still has a lot of strange issues plaguing it. One of the most common issues concerns disappearance of all (or some) events from the calendar. For some users, this was the problem for ages. Until it suddenly stopped. Others are still unable to solve it and, due to its gravity, they’ve decided to switch to an alternative. Now, since a lot of users never experienced anything similar, the issue at hand might be on your side. So, make sure to follow the steps we provided below and, hopefully, find the resolution. There are multiple reports about Google Calendar deleting events. By default, even the oldest of your events should still be kept at all times. However, these occurrences are nothing strange for Google’s native multiplatform calendar. Luckily, none of the files will get away for good. They’re, at least most of the time, easily found in the Trash Bin, where all deleted events are stored for up to 30 days. Open Google Calendar on any browser and sign in. Click on the cog icon and select Trash from the drop-down menu. Click on deleted events and restore them. If you’ve made changes or created events on another device and now can’t seem to find them on your PC, make sure to re-sync Google Calendar. Even the slightest connection issue might’ve caused failed syncing, thus you’re unable to see the events. We recommend opening Google Calendar on that alternative device while being connected to a stable network. In addition, you can reinstall the Google Calendar app on your handheld device and install it again (most devices will restore the app to factory values). After that, wait for it to sync and open Google Calendar in a browser. Finally, some users suggested using Incognito mode on your browser. 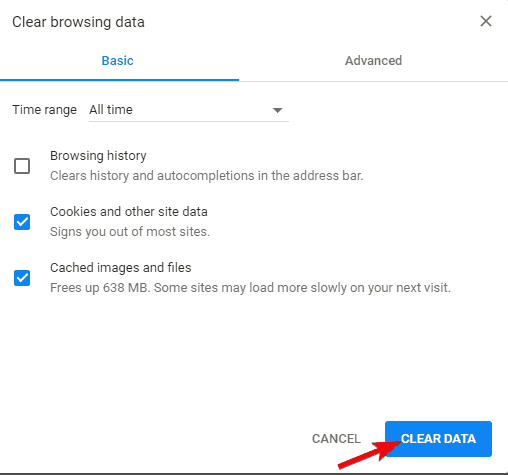 This might help, but even better way to address the error at hand head-on is to clear your browsing data. Browsing data, like cache, cookies, and cached images can cause issues with various applications. 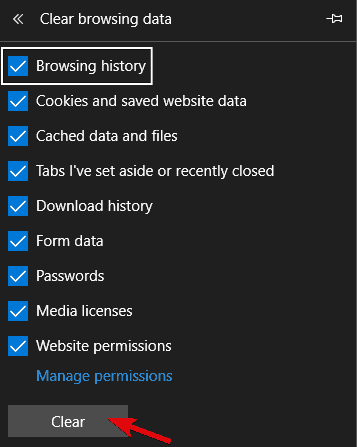 Press Shift + Ctrl + Delete to open the “Clear browsing data” menu. Select “All time” as the time range. Focus on deleting ‘Cookies’, ‘Cached Images and Files‘, and other site data. Click on the Clear Data button. Restart Chrome and sign in to Google Calendar again. Press Ctrl + Shift + Delete. Check all the boxes and click Clear. Restart Edge and log in to Google Calendar again. Since Google discontinued Google Calendar for Windows, there were a lot of alternative ways to implement it in third-party applications. For example, you can use Windows 10‘s Calendar app to sync all Google Calendars. This seems to be a viable solution, but we can’t be certain whether the third-party app caused the disappearance of Events or the Google is at fault. For that reason, just to be safe and avoid further justification from the responsible support team, we suggest removing Google Calendar inputs from all third-party Calendar applications. That’s it. Don’t forget to tell us whether the issue is addressed or you’re still unable to locate your valuable events. Give us your thoughts in the comments section below.